I remembered watching this trailer quite a while back, and I was totally psyched about this Ultimate Tribute to the NES! Then i forgot about it.. and after browsing through my favorites on Youtube I found it again, and it has now been released since some time in January! 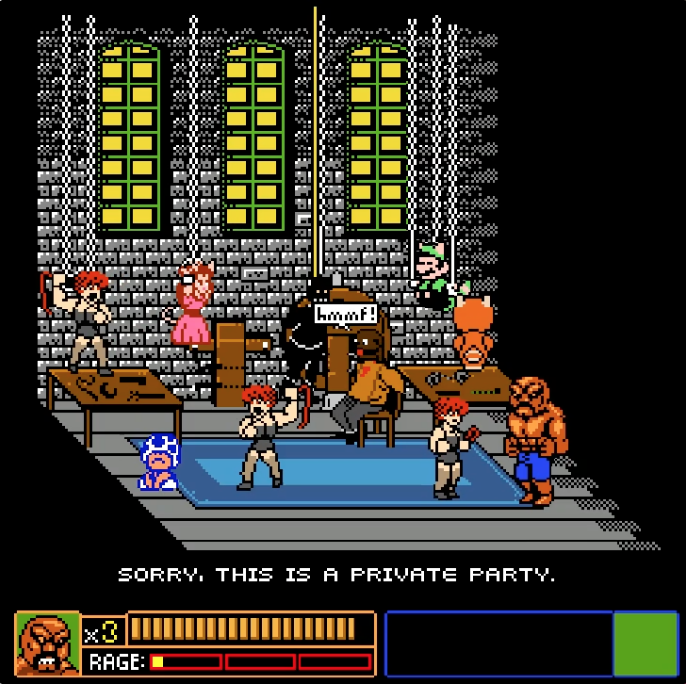 This game has it all, the retro 8-bit feeling and references to all the games we love <3 And it’s extremely funny! 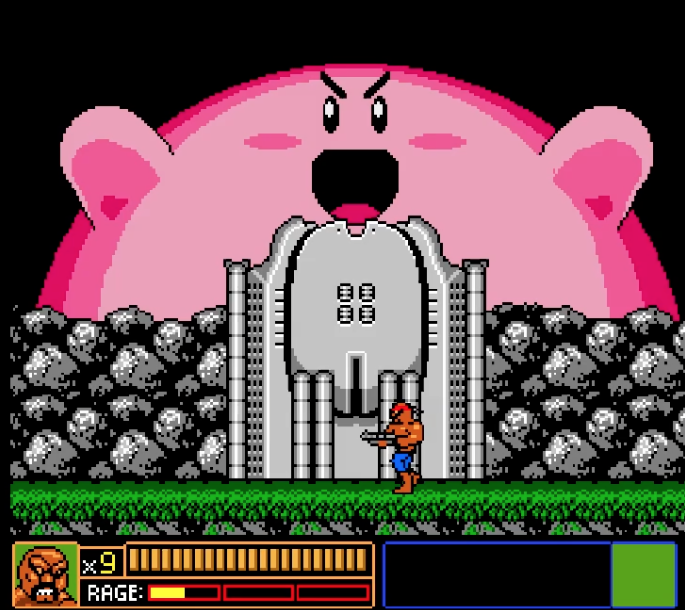 Here are just some of the things you will be able to enjoy and experience when playing Abobo’s Big Adventure! 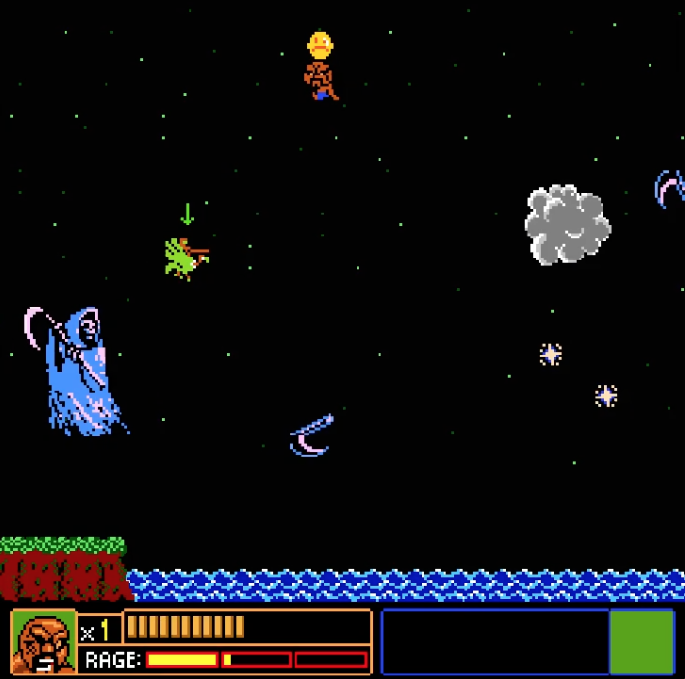 Working up your RAGE for amazing mind-blowingly awesome special attacks that are unique for each level! 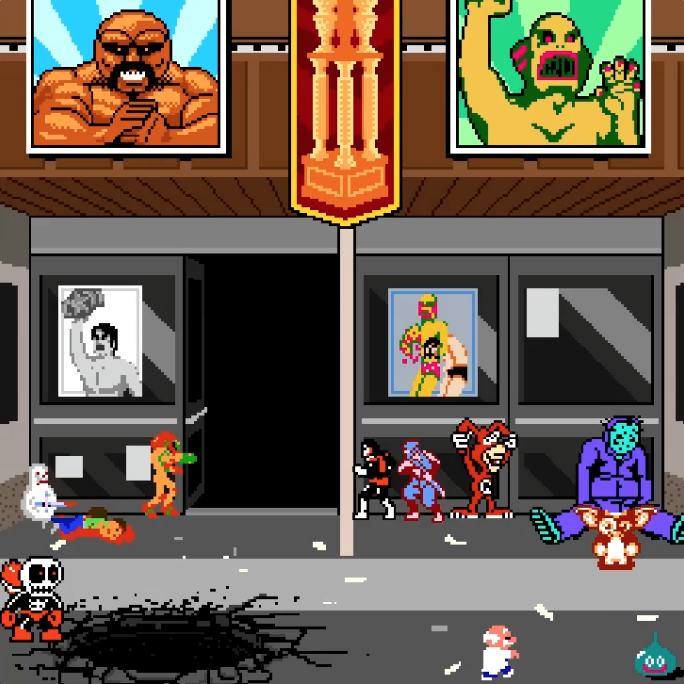 Abobo in Balloon Fight!! With the Reaper from Castlevania!!!! Or having babies with a mermaid.. or as they call it Merbobos! 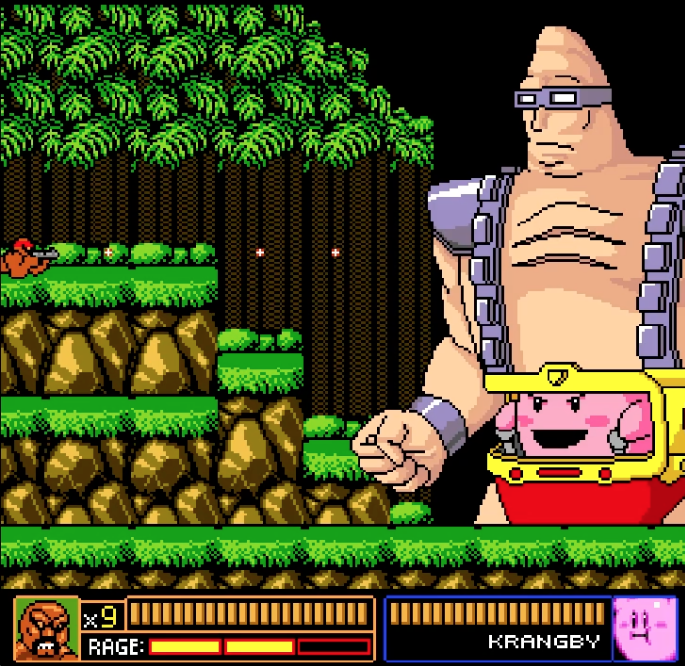 Abobo in Contra, vs Krangby!! YES! 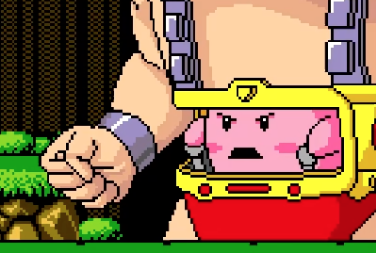 IT IS KIRBY WHO SWALLOWED KRANG TO BECOME KRANGBY!!! Fighting Jaws, and even bigger Jaws! And much much more! I suggest you play it online or download it straight away! What are you waiting for?? Go play it! 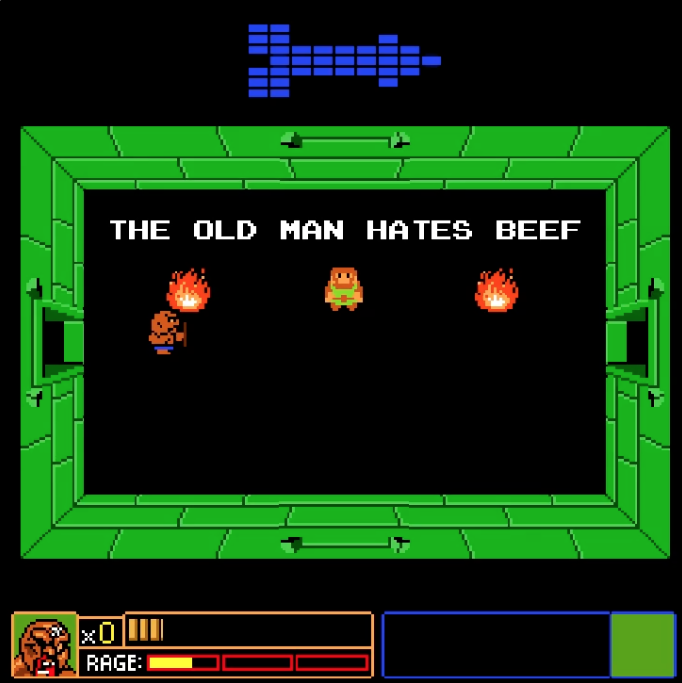 This entry was posted in NES, Nintendo, Online Games and tagged Abobo, Abobo's Big Adventure, download, downloadable games, NES, Nintendo, Nostalgic, Online game, Play, Trailer, Tribute. Bookmark the permalink. 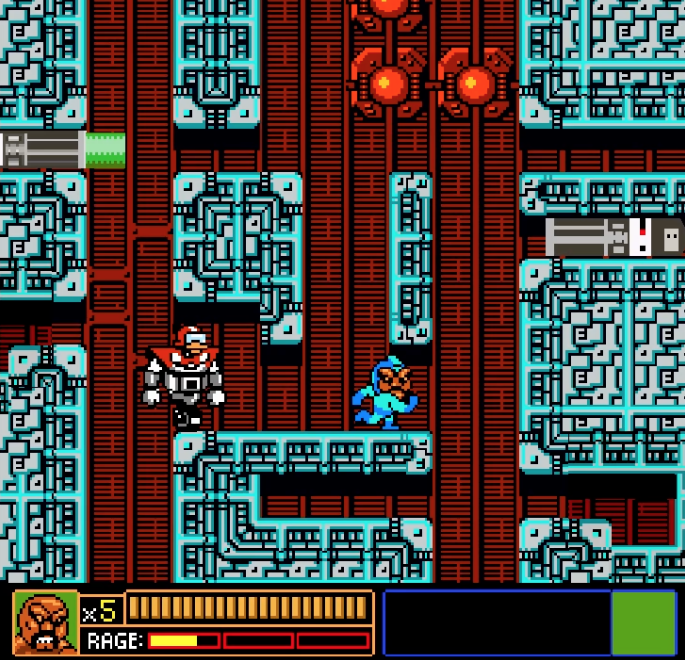 wow, i’ve been playing through some old NES games, but this looks epic. whoa, 1337 epic, even more intense than I expected. I bought one of these: http://www.amazon.com/Retro-Classic-Controller-Nintendo-Entertainment-System/dp/B00281PFQI to play these sorts of games on my pc. 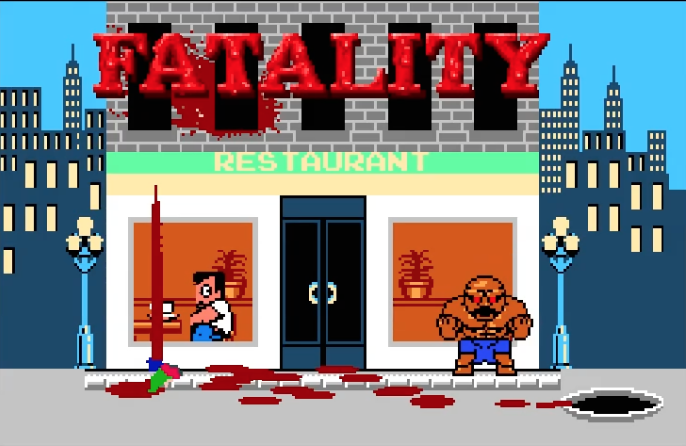 I’ll have to download this, presumably googling abobo will get me the game and not kicked out of a helicopter. 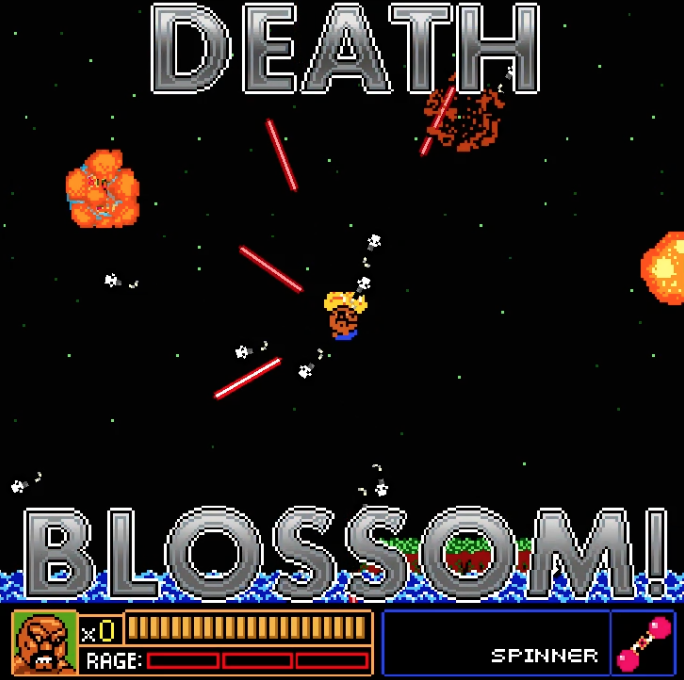 There’s several links to the site in my post, it’s free to download ^_^ It’s a fan made game! 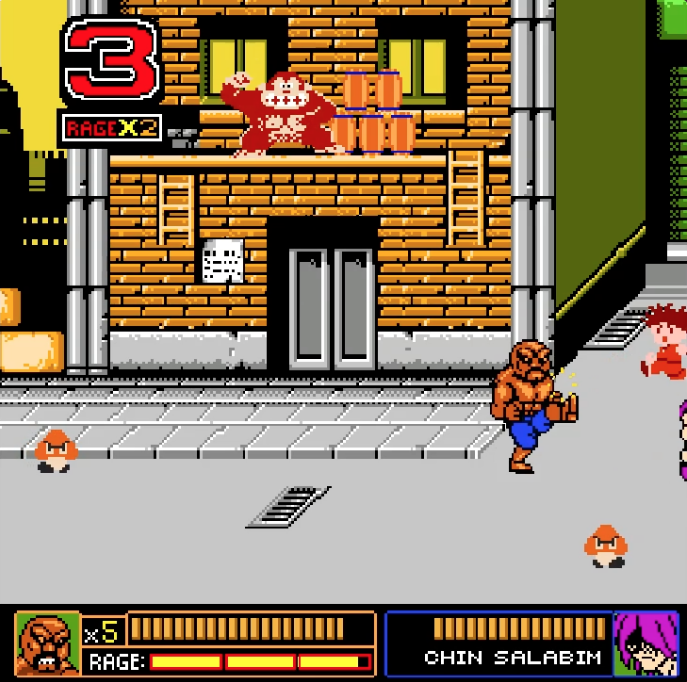 Abobo is also in the Neo Geo fighting version of the game Double Dragon, he looks completely different there..
just saw this post (on account of the absurd number of concurrent threads there are now), Don’t know how much use my link will be (since this blog is like a week old), but you never know. 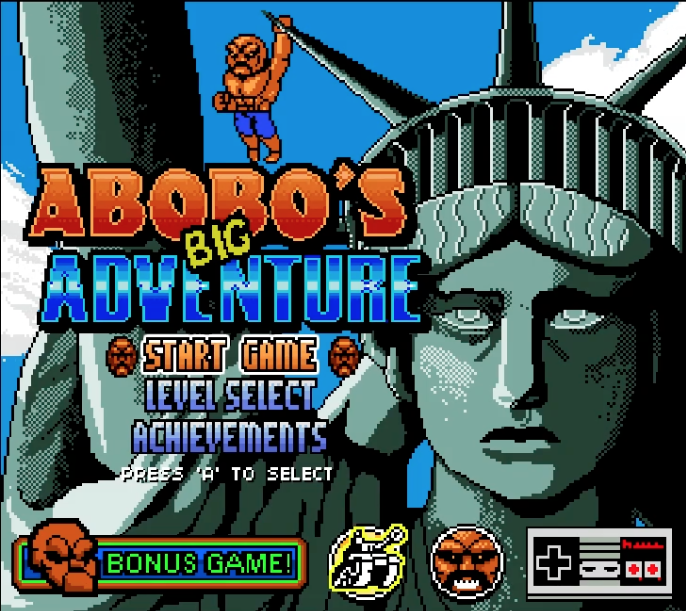 Judging from Abobo’s middle region there he is really excited to be on that platform. The movie looks ridiculous, in what I hope is a really great way, be sure to write something about it if you do watch it. I have a really vague memory of it from when I was a kid, but nothing very distinct. It also kind of blended together with my recollection of the live-action mario movie. that specifically states it support mac. Its fun using the old controller except for the sore thumbs. thanks for pointing out the link, i overlooked it in-between some of the screenshoots. Awesome game! Thank you for introducing me to it! You’re welcome ^_^ It is truly awesome, did you manage to beat it?